Lucas, a former crown ward, has worked in private and public foster care agencies in Ontario since 2001. He serves on committees of the Ministry of Children and Youth Services, for the Provincial Advocate for Children and Youth, and the Child Welfare Secretariat. In these roles, he has listened to LGBTQ youth in and leaving care to understand their needs and is working to create a training program intended to be implemented in all Ontario children’s aid societies. Lucas is an avid community volunteer and an experienced business and staff manager, and he graduated from the Public Administration and Governance Program at Ryerson University. Visit In the News to hear Lucas talk with CBC's Candy Palmater about his story, growing up Queer and multi-racial in the child welfare system. Chad brings a wealth of public, private, para-public and not-for-profit experience. 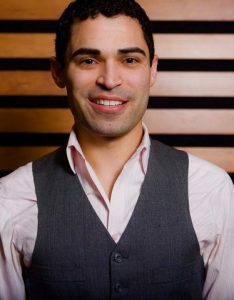 After a discharge from the U.S. National Guard for "stated homosexuality" under the U.S. military's "Don't Ask, Don't Tell" policy, and a career in hospitality management, he came to Canada and earned a bilingual honours degree in International Studies at York University. He has many years of youth leadership programming, public administration, staff and program management, strategic development, community and stakeholder relations, public communications, and nearly a decade working in post-secondary education. 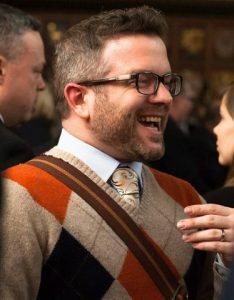 Chad has served on volunteer committees and boards for the CAMH Foundation, Pride Toronto and World Pride 2014, CANFAR, and the 519 Church Street Community Centre, among others, and currently serves as a Director and Board Treasurer for W.E. Trans Support.